Sally Schoen presents three dresses of her project Hyphae at OBJECT Rotterdam. As graduate of the School of Arts in Utrecht in product design Sally Schoen didn't go into product design but she developed three dresses with an interesting thought about it. She loves the beauty of nature and especially the complex systems. With her work she wants to highlight the small things of life that are often taken for granted. Things that are part of these processes that make everyday life possible. Like fungi or better said the mycelium of fungi. Her dresses are inspired by the function and growth of it. Mycelium has the ability to decompose all organisms and create new fertile soil for new life. In three stages: death, decomposition and new life. The colours and the patterns of the dresses symbolize the stage of the decomposition. 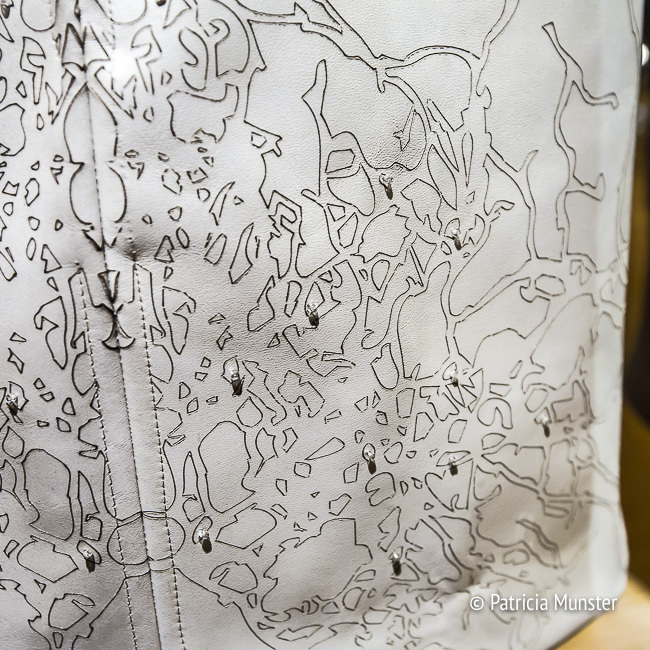 She created her designs in leather and for the patterns she used a laser cutter. 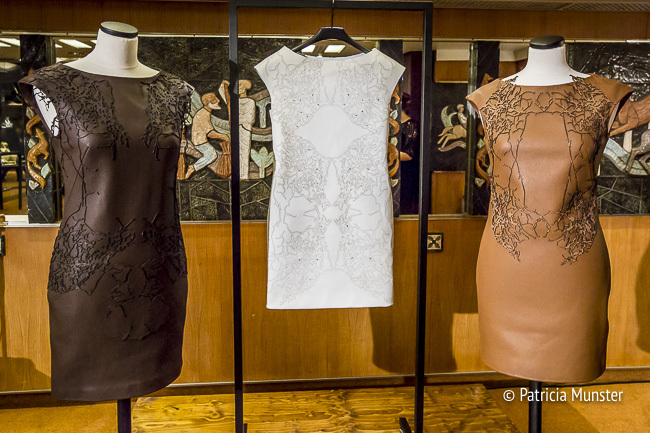 With a special clue she put the laser cuttings on the brown and camel dress. 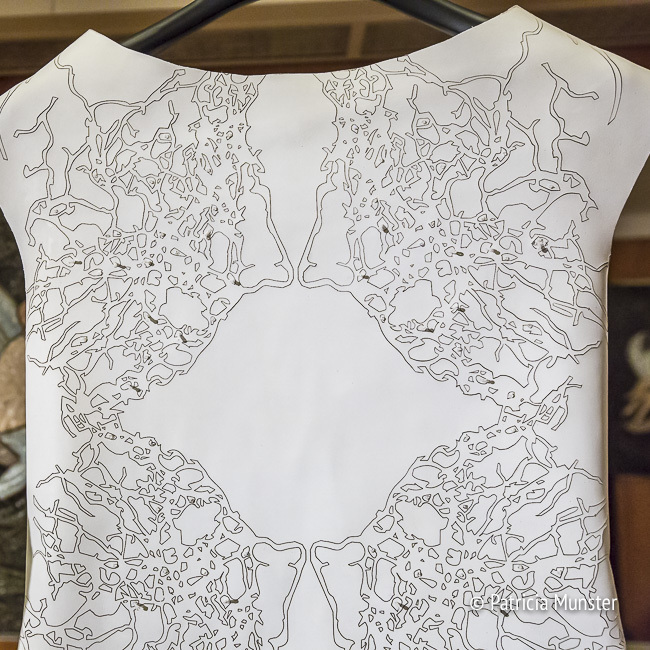 The white dress is created with the help of a laser engraving machine to creat the pattern. The small beads represents rain drops. OBJECT Rotterdam is a contemporary fair full of design in fashion, art, furniture and home decoration for more photos visit Patricia Reports! 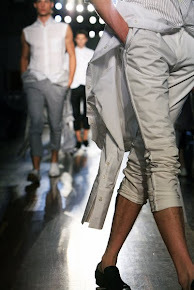 The exhibition is until the 12th of February!